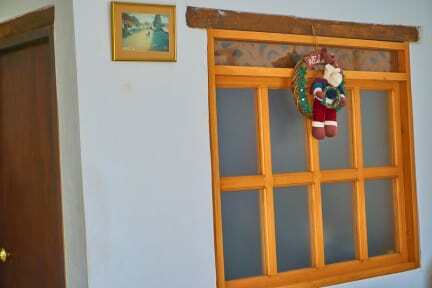 Casa Faletto is a cosy and nice place to enjoy Villa de Leyva. You will have a pleasant experience in our hostel in accordance with our culture and traditions, we hope at our place you will feel like home. We are located 10 minutes from the center of the village and we advise you to visit places of interest such as plaza mayor, pozos azules, Periquera waterfalls, museums, monastery Santo Eccehomo, Casa terracota, El fosil, paleontological research centre, Marques de Villa de Leyva among others. 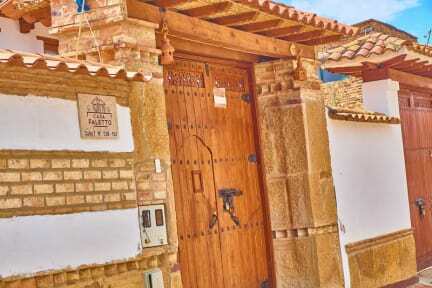 this place is located in a quiet street to 10 minutes from la plaza mayor Villa de Leyva and 7 minutes from bus station. this simply means one thing: leave our place and enjoy the charm of the village. At short distance walk, you will find the most popular attractions, such as tours in four-wheelers and horse-riding. You will also find activities, restaurants, bars, handicrafts shops, beer-wine and pastries. Among the amenities we offer in our rooms in the facilities of the place we have Wifi, TV with cable (In some of the rooms), Board Games, Bicycle Rental, Tour Guides, Hot Water, Parking, access to kitchen service, laundry, refrigerator, microwave, hair dryer and in some cases a breakfast (according to the agreement with the guest). All rooms are private with double beds. One of the rooms has a balcony and private bathroom, the others have a shared bathroom. Breakfast not included - 5000 COP per person.